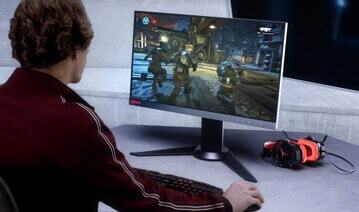 AMD FreeSync will only be fully function when compacting with AMD graphic cards. 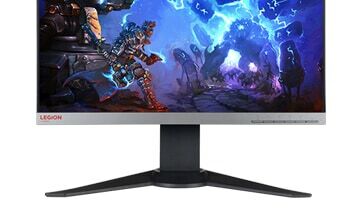 This gaming monitor with HDR decoding capability can reproduce high dynamic range of peak brightness of 400 nits and restore wide color gamut, provides much better visual experience for gamers. 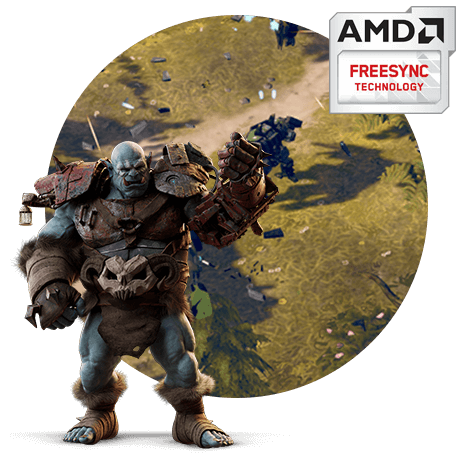 AMD FreeSync? 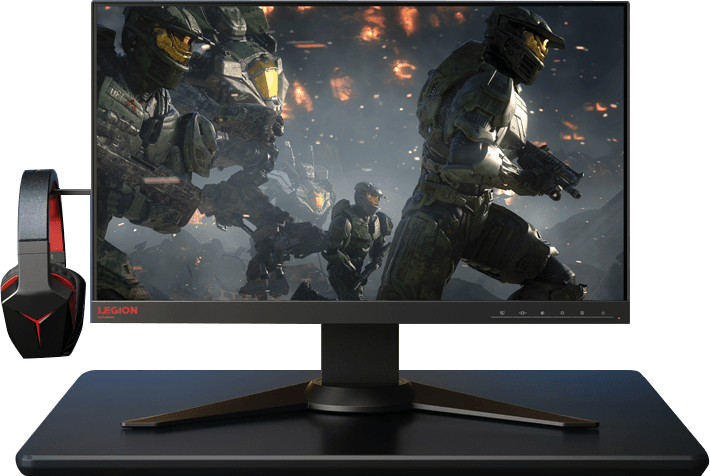 synchronized the refresh rate to the AMD GPU to eliminate screen tearing, and minimize display stutter and input lag. More detailed can be capture at response time of 1 ms to minimize motion blur. Designed for gaming with ergonomic stand and TüV certified Eye Comfort, reducing eye fatigue, tiredness and neck and shoulder pain. Functional features include integrated headphone hook, audio jack, USB 3.0 hub and VESA? mounting. In inches: 0.011" x 0.011"
In inches : 3.94" x 3.94"
Bezel Width (mm / inches) Top : 2/ 0.08"
Bottom : 23.5 / 0.93"
Sides : 2 / 0.08"
Lift mm / inches : 110 / 4.33"
In inches : 21.41" x 11.91"
In inches : 21.94" x 9.24" x 15.15"
In inches : 21.94" x 9.24" x 19.48"
mm / inches : 50.9 / 2"
mm / inches : 19.28" x 9.24"
In inches : 19.28" x 9.24"
OSD languages English, French German, Spanish, Italian, Japanese, Simplified Chinese, Russian. Depending on many factors such as the processing capability of peripheral devices, file attributes, and other factors related to system configuration and operating environments, the actual transfer rate using the various USB connectors on this device will vary and is typically slower than the data rates as defined by the respective USB specifications: - 5 Gbit/s for USB 3.1 Gen1; 10 Gbit/s for USB 3.1 Gen2 & 20 Gbit/s for USB 3.2. Limit: Limit 5 per customer. Offers valid from Lenovo in the US only. 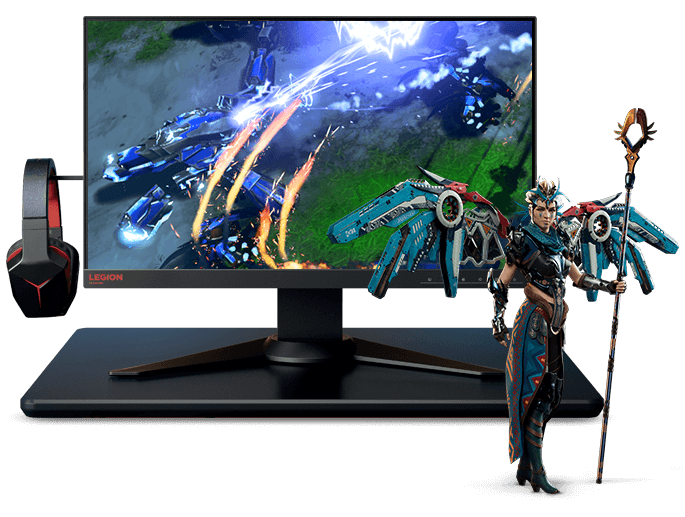 Lenovo may increase or decrease these limits, from time to time, for certain offerings. 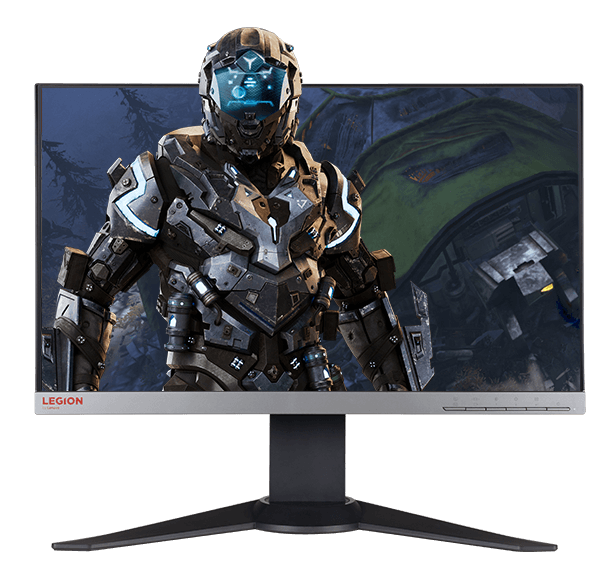 Pricing and Availability: Lenovo.com offers, prices, and product specifications may change without notice. Lenovo will contact you and cancel your order if the product becomes unavailable or if there was a pricing or typographic error. Item pricing does not include tax, shipping and handling, or recycling fees. Reseller prices may vary from prices on lenovo.com. Savings shown are referenced off of regular Lenovo web prices. Lenovo strives to provide a reasonable quantity of products to accommodate estimated consumer demand. Despite our best efforts, however, products advertised may be subject to limited availability, depending on inventory levels and unforeseen demand. Microsoft operating systems and software: Customers should make sure to review key information provided by Microsoft that may apply to your system purchase, including details on Windows 10, Windows 8, Windows 7, and potential upgrades, downgrades or service limitations.Lenovo makes no representation or warranty regarding third-party products or services. Warranty: For a copy of applicable warranties, write to: Lenovo Warranty Information, 1009 Think Place, Morrisville, NC, 27560. Battery: Battery life (and recharge times) will vary based on many factors, including system settings and usage. Lenovo systems do not support batteries that are not genuine Lenovo-made or authorized. Systems will continue to boot, but may not charge unauthorized batteries. Lenovo has no responsibility for the performance or safety of unauthorized batteries, and provides no warranties for failures or damage arising out of their use. Trademarks: IdeaPad, Lenovo, Lenovo Legion, ThinkPad, ThinkCentre, ThinkStation, Yoga, the Lenovo logo and the Lenovo Legion logo are trademarks or registered trademarks of Lenovo. Microsoft, Windows, Windows NT, and the Windows logo are trademarks of Microsoft Corporation. Ultrabook, Celeron, Celeron Inside, Core Inside, Intel, Intel Logo, Intel Atom, Intel Atom Inside, Intel Core, Intel Inside, Intel Inside Logo, Intel vPro, Itanium, Itanium Inside, Pentium, Pentium Inside, vPro Inside, Xeon, Xeon Phi, Xeon Inside, and Intel Optane are trademarks of Intel Corporation or its subsidiaries in the U.S. and/or other countries. Other company, product or service names may be trademarks or service marks of others.